Princess Fairytale Hall is the newest attraction to come from the the New Fantasyland expansion in Magic Kingdom. According to the Disney Parks Blog, the grand opening date is Wednesday, September 18. 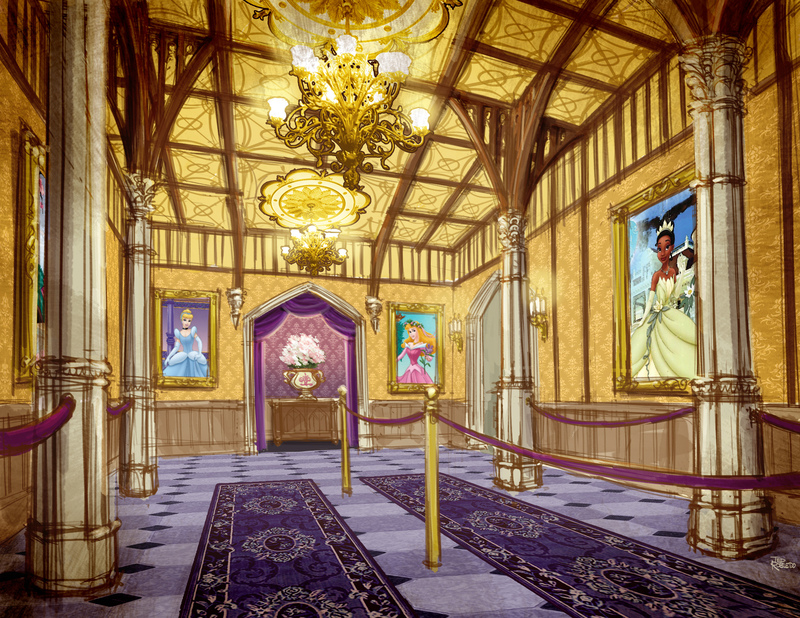 The opening of this meet and greet location will move the princesses (who are currently in Town Square Theater on Main Street, U.S.A.) to a more regal setting befitting of royalty. The Hall is in the former location of Snow White’s Scary Adventure, situated in the classic portion of Fantasyland. When guests arrive, they may pick which set of princesses to meet. They will have the choice of Cinderella or Rapunzel, who will each be joined by a visiting princess, and there will be signage out front indicating which princesses are meeting that day. The story given to enhance the magic is that guests will serve as the Royal Subjects visiting the Disney princesses. The attraction is set up to offer both FASTPASS and FastPass+. Guests who wish to meet both sets of princesses will need to obtain FASTPASS tickets for each side. For those who are looking for the FASTPASS machines, they will be located near Peter Pan’s Flight. This will be fun to explore. I am looking forward to checking it out on my upcoming trip. 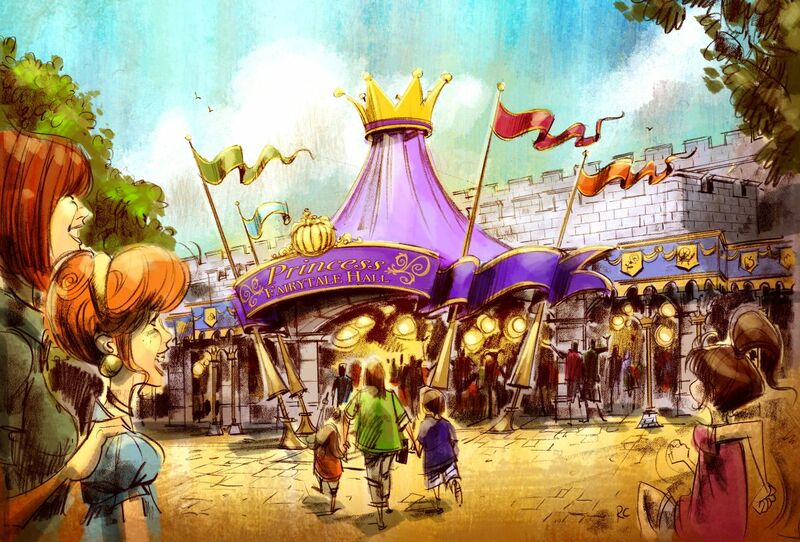 Do you know who will or what will be replacing the princesses in Town square? Any word on soft openings? This looks great; we arrive in Disney that day. Guessing this will be very popular; should we plan on trying to do this first thing? What other Magic Kingdom attractions get busy the quickest right now? Enchanted Tales With Belle? Gus & cinderelli! My 2 faves! Of course it opens the day after I leave. Any soft openings? These are wonderful newsflash! Say thank you you for sharing this with us!